Evaluating the presence and severity of symptoms of psychological disorders and distress in adolescents. The APS measures three broad disorder-problem domains: Clinical Disorders (20 scales), Personality Disorders (5 scales) and Psychosocial Problem Content areas (11 scales). The Response Style Indicator scales (4 scales) includes indexes of response consistency, response veracity and unusual endorsement propensities. Respondents complete the 346 items in the APS Test Booklet. APS items are written at a year 8 reading level. The APS employs a unique multiple response format designed to conform to the nature of the specific DSM-IV symptom criteria. APS scores represent the severity of disorder-specific symptomatology evaluated across different time periods. This close match between APS item content and DSM-IV criteria facilitates clinical utility and ease of interpretation. To quantify the primary dimensions of psychopathology captured by the APS, three broad-based Factor Score scales are calculated from the Clinical and Personality Disorder scales: Internalizing Disorder, Externalizing Disorder, and Personality Disorder. 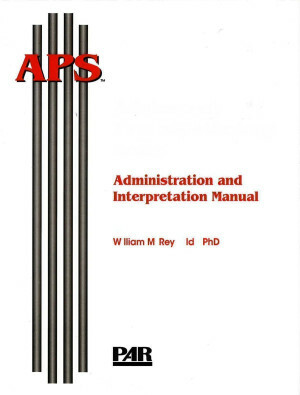 NOTE: The APS must be scored using the APS Scoring Program. 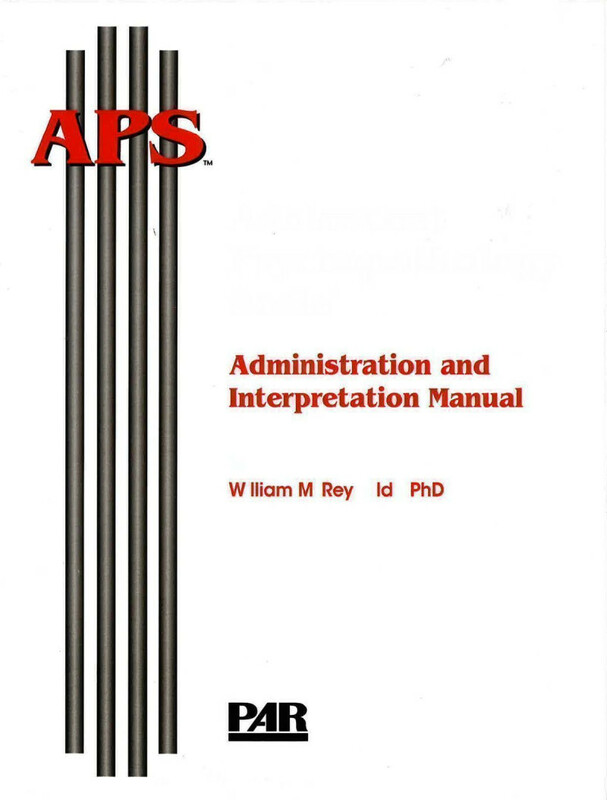 The APS is available on CD-ROM, which can generate unlimited reports. The CD-ROM does not require the use of Key Disks. A 115-item short form (APS-SF) is also available. APS norm samples included 2834 US school-based adolescents, 506 adolescents in clinical settings, and norms developed for the total standardisation sample of 1827 school-based adolescents were separated by gender, age group , and gender by age group.